Learn how one of LinkedIn’s sales experts uses social selling throughout the day to enhance his professional brand, find prospects, and build relationships. 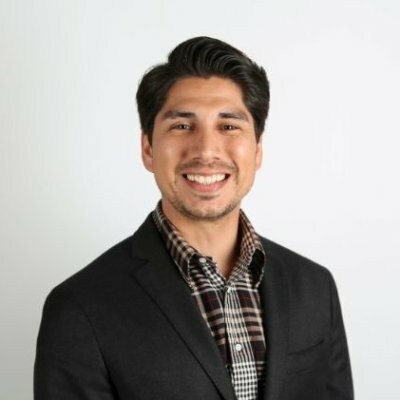 Editor’s Note: Brandon is a Sales Product Consultant for LinkedIn, helping companies roll out and adopt best practices with LinkedIn's Sales Navigator. He has been in his current position for two years. We asked Brandon to share how he uses social selling throughout his workday—and beyond. My goal as a Sales Product Consultant is to be the smartest person in the room when it comes to social selling and LinkedIn's Sales Navigator. We partner with our customers and relationship managers to help them bring about that paradigm shift into becoming a social selling organization. Since I started my sales career in the pre-social selling environment, I’m definitely a believer in what social selling does for the profession. Before I started at LinkedIn, I used to wake up with a knot in my stomach dreading to go to work. I was part of a “smile ‘n’ dial” crew at another company where we had to hit 150 cold calls a day, or four hours of talk time. It wasn’t about quality outreach and striving for excellence. It was about how you could hit the numbers. It really takes a toll on you, psychologically and even physically. That’s why I appreciate how LinkedIn is elevating sales, making it an aspirational profession. 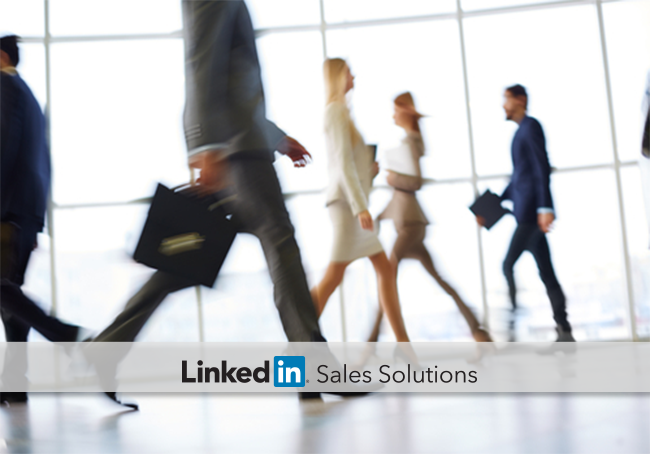 Social selling makes the sales profession better, plain and simple. It’s better for the sales reps and it’s better for the customer. For my own sales process, I’ve found it’s best to incorporate LinkedIn throughout the day, just to have that social selling mindset in the background all the time. So on the train into work, I’m on the Pulse app, reading content. I spend that 30-40 minute commute reading articles to save and share later. When I’m reading, I’m looking at what other leaders in the space are saying, what’s happening, what’s top-of-mind. I want to be involved and engaged with any recent developments in the sales space. But I also follow thought leaders across industries on LinkedIn so I have relevant content to share, and also to get some inspiration outside of sales. I share content and updates on LinkedIn in the morning and in the afternoon. The best times for me to reach my network are in the morning around 8 o’clock and in the afternoon at 2 o’clock. To avoid overloading people’s feeds, I’ve found it’s best to share on LinkedIn a maximum of twice a day. I try to focus on who my end audience is, what’s top-of-mind, and what kind of content is beneficial for them. What it comes down to is finding a voice. For me, it hasn’t been about creating content just yet; it’s more curating content. I’m just about to branch out into publishing posts. I think once you have a firm grasp of the space and how to create your brand within it, then you can branch out and start creating. I spend most of the day logged into LinkedIn Sales Navigator. To get the most out of the product, you have to be in the product. So multiple hours a day I’m in Sales Navigator training, researching my prospects, or establishing and growing relationships. The big difference between LinkedIn and other sales tools is that LinkedIn is a living document; when you export an Excel worksheet from your CRM, that data’s dead. It’s not going to update itself. LinkedIn is being constantly updated by the people you’re trying to sell to. So with Sales Navigator, I can stay focused on lead generation and relationship management. I share a book of business with our relationship managers, making sure their top accounts are my top accounts. I follow the key leaders in an organization, and follow some of the key reps at those companies to help with that paradigm shift. I comment and like the articles they’re posting. I’ll share it out to my network and mention them. The social interaction is what helps position you as someone who is an engaging member of this environment. If you’re just starting out with Sales Navigator, it’s great to start with 45 minutes to an hour a day. But I found the more time I spent with it, the more results I saw. It really incorporates itself into your sales flow. I couldn’t be happier to have gone from “smile ‘n’ dial” to “reach ‘n’ teach.” Everything I do now is about developing my brand so I can create these meaningful relationships with our customers. Social selling has transformed sales into a job where I’m providing real value for our customers and enjoying success in the process. For more social selling insights, download our eBook, 6 Steps to Accelerate Your Sales in 2015.